Elmer's Magical Liquid - Slime Activator and Translucent Color Glue Deal! 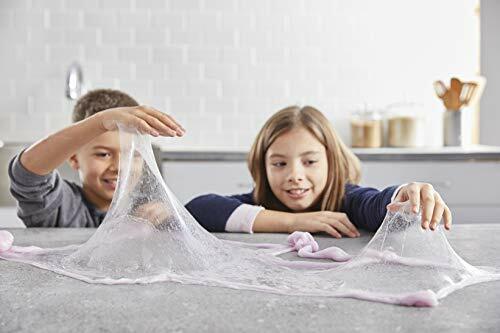 Home online deals Elmer’s Magical Liquid – Slime Activator and Elmer’s Translucent Color Glue Deal! Elmer’s Magical Liquid – Slime Activator and Elmer’s Translucent Color Glue Deal! Look what we found for you on Amazon! Hurry and get the Elmer’s Magical Liquid – Slime Activator and Elmer’s Translucent Color Glue, Washable, Pink, Blue, Purple, Green, 5 Ounces Each (Great For Making Slime) today for only $13.60 from Amazon! Buy the Elmer’s Magical Liquid – Slime Activator and Elmer’s Translucent Color Glue, Washable, Pink, Blue, Purple, Green, 5 Ounces Each – Great For Making Slime from Amazon. Next articleSalty Snacks Variety Pack Deal!! 54 Bags!